A mix of clouds and sun. Slight chance of a rain shower. High 72F. Winds S at 10 to 20 mph.. Some passing clouds. Low 48F. Winds SSW at 5 to 10 mph. Dalton Eugene Coy, 76, of Shippensburg, passed away peacefully on the morning of Tuesday, April 2, 2019, at the home of his daughter, Crystal, and son-in-law, James Davis, of Shippensburg, where he had been residing for the past several months. Dalton was born Monday, Dec. 14, 1942, in Cleversburg, a son of the late Errol V. Coy Sr. and Curvey Mae Stine Coy. He was preceded in death by his wife, Julia Hartman Coy, on Nov. 2, 2015. Dalton was one of 13 children and was preceded in death by three brothers, Wilson L., Wilbur T. and Gerald E. Coy. He is survived by four daughters, Penny Coy (Kerry) and Pamela Coy of Harrisburg, Pennsylvania, Crystal (James) Davis of Shippensburg and Jennifer (Jason) Stumbaugh of Chambersburg; six brothers and three sisters, Errol V. Jr., (Shirley) of Rainsville, Alabama, Clark W. (Linda) of Shippensburg, Felicia Coy Stevens of Chambersburg, Nancy Coy (Eber Sr.) Leisher of Shippensburg, Charles D. (Betty) of Shippensburg, Richard L. Sr. (Arlene) of Shippensburg, Edgar J. (Joan) of Shippensburg, Linda Coy (Ray) Plasterer of Middletown, Pennsylvania, and Daniel L. (Kathy) of Orrstown, Pennsylvania; 11 grandchildren; nine great-grandchildren; and numerous nieces and nephews. Dalton was a graduate of the former Shippensburg High School. He had been employed at the former SKF Industries, Roadway Trucking Co., the former Tropical Treat, and the former Lam-Tech. For many years, Dalton attended the Abundant Life Chapel in Chambersburg. 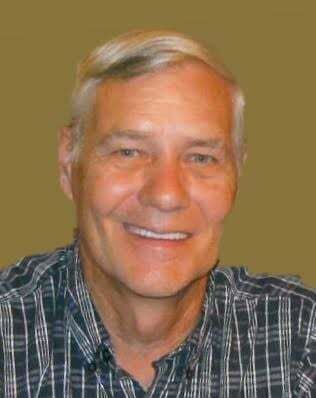 He enjoyed the outdoors, hunting and fishing and spending time with his grandchildren. Funeral services will be held at 10:30 a.m. Tuesday, April 9, 2019, in the Fogelsanger-Bricker Funeral Home & Crematorium, Shippensburg. Officiating will be Pastor J.R. Wells. Burial will be in Parklawns Memorial Gardens, Chambersburg. A viewing will be held from 6 to 8 p.m. Monday evening in the funeral home. Online condolences may be expressed at: www.fogelsanger-brickerfuneralhome.com.